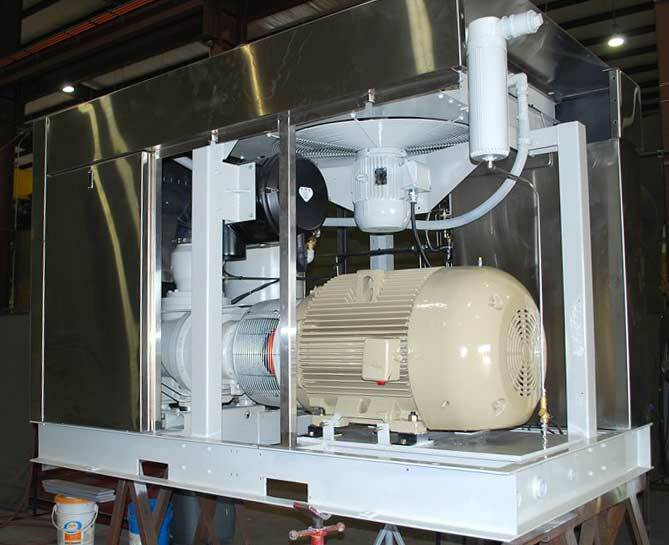 GENERON offers 2hp to 5,000hp (0.38kw – 3730kw) Industry proven engineered rotary screw compression packages built to any technical specification either engine or electric drive, for moving large volumes at lower suction with discharge pressures up to 600 psig (41 barg). At GENERON our engineering, design and fabrication departments are all under one roof. This not only allows us to be extremely competitive, but allows the easy mitigation of environmental or design changes. GENERON provides single source responsibility and efficient fabrication of your system from concept to completion. Contact our engineering team at +1.713.937.5200.